There’s a saying that there are two seasons in the Midwest: winter and construction season. Basin Electric has three major construction projects underway that are an investment to the future of the cooperative, its employees, and its members. Basin Electric’s Headquarters West (new building) took on a new look this summer. 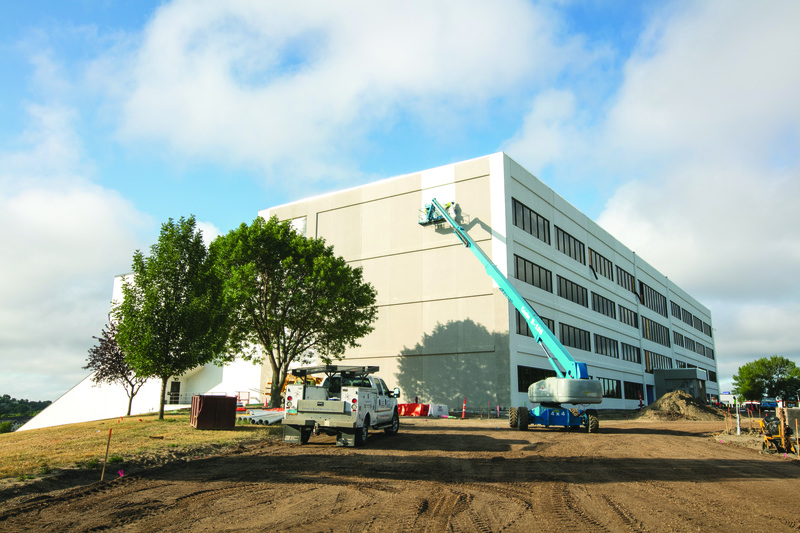 In late June, contractors started painting the outside of the building, giving it a white finish to match Headquarters East (the existing building). Painting was completed in August. Employees will move into Headquarters West in November, bringing all employees under one roof. 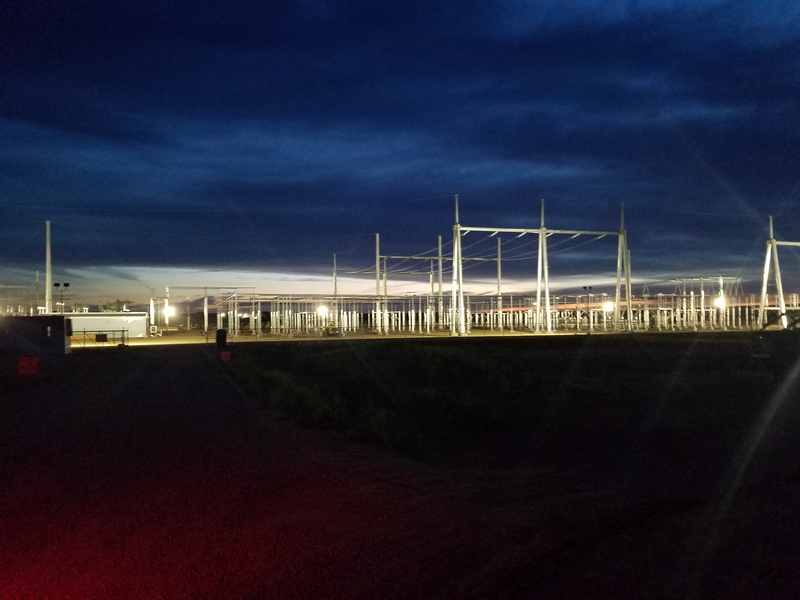 Located near Tioga, ND, the Tande Substation (above) is part of the Antelope Valley Station (AVS) to Neset transmission project. The complete AVS to Neset project is expected to be in service by Oct. 31. The urea project, located at the Great Plains Synfuels Plant, is anticipated to be commercially operational starting in January 2018. The project’s portal reclaimer (above) will reclaim and transfer product from the storage building to the screening tower for final screening before being loaded on truck to rail and delivered to the customer. 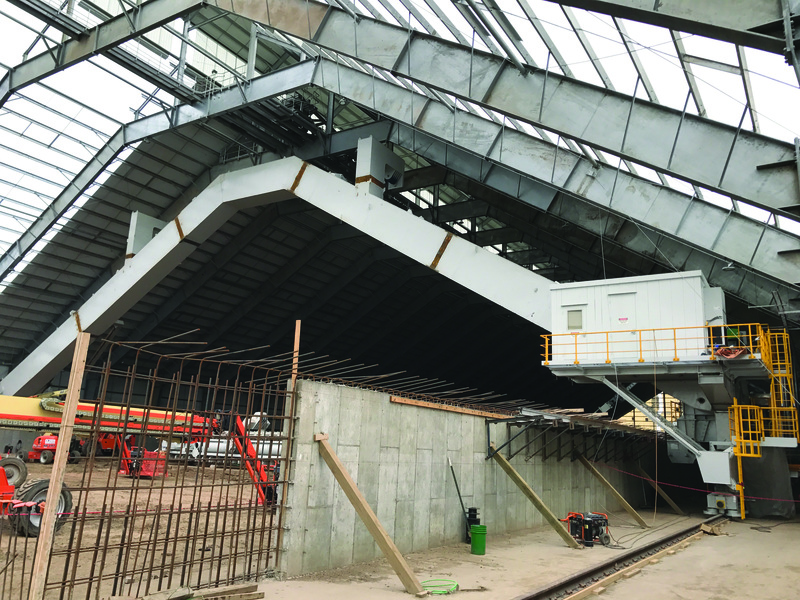 The 53,000-ton storage building, which was destroyed in the July 5, 2016, storm, is now nearly complete with contractors installing wall and roof cladding, as well as the remaining structural steel on the outside of the building. On the inside, contractors continue work on the retaining walls, floor, and anchor rods for the portal reclaimer rail. For more details about each of these projects, read the July/August issue of Basin Today: Construction Zone.